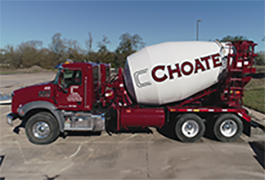 Choate Concrete is now hiring professional Ready Mix Truck Drivers, Volumetric Truck Drivers, Loaders and for our Conroe and West Texas Divisions. 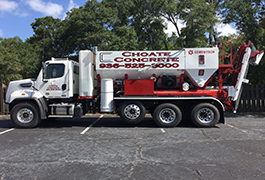 Choate Concrete is hiring professional Ready Mix Truck Drivers/Loader for our Conroe, Texas Division. We offer a competitive salary, excellent benefit package and the opportunity to work locally and be home at the end of your day. If you are interested in a new career with an established company, please apply now. Choate Concrete is hiring professional Volumetric Truck Drivers/Loader for our Conroe and West Texas Divisions. We offer a competitive salary, excellent benefit package, perdiem and housing options for drivers at our West Texas Division. Choate Concrete is hiring professional Batch Plant Operator/Dispatcher for our Conroe, Texas Division. We offer a competitive salary, excellent benefit package and the opportunity to work locally and be home at the end of your day. In addition to operating the Plant, candidate will assist with the coordination of daily plant activities such as scheduling truck drivers and ordering plant materials. 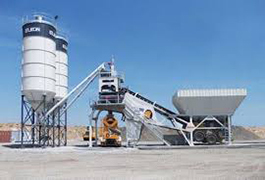 • Candidate must have a minimum 1-3 years with concrete batching experience in ready mix or concrete paving and/or technical training or related experience. • Thorough knowledge of all aspects of concrete batching technology, equipment, methods, and safety is required. • Candidate must have excellent communication and organizational skills.